We have several wedding photography packages to choose from and we hope you will find what you are looking for within our packages. However, if you are wanting something a little different to enhance the beauty and the memories of your special day, we will help you tailor your own unique wedding photography package. This package is suitable for couples who may have got married abroad or away from home and they are celebrating their union of marriage with a party or evening reception upon their return. We will come to your wedding celebration and take a selection of reportage style photos and posed group photos by your request. This photography package allows for you to have photos of your guests who may have been unable to attend your wedding ceremony abroad, enabling them not to miss out as they will be included in some of the official celebration photos. We will stay at your celebration (party) and take any photos which you would like us to take to include posed formal photos and reportage style photos to capture the essence of your celebration as the story unfolds. We will take a diverse range of contemporary and traditional photos of you and your guests. Photos will be a selection of black and white, sepia and colour. You will receive all of your edited photos on a disk in high quality J-Peg format. which is suitable for printing. 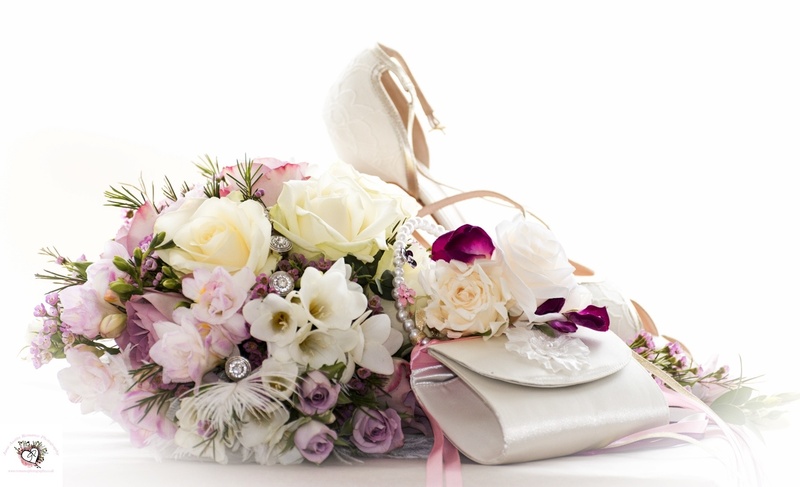 This package is suitable for Church Weddings and Special Venues and/or locations. We will attend at your wedding venue and take preparation photos together with photos of the Best Man/Woman/Side Person and Guests before the ceremony. Photographs of the attendants arriving at the Church/ Marriage Venue. You getting married, your ceremony (subject to restrictions), posed photos of signing the register. Your group photos by request. (we usually ask for you to provide us with a list of the photos of guests you would love to have at our final pre-wedding meeting). We will also take spend time with the happy couple to capture those first special moments together as a married couple. A diverse selection of photographs of the happy couple and your guests will be taken to capture those special moments of your wedding day (as your story unfolds). These will also include formal and contemporary photos of the happy couple and your guests. We will take photos of your table settings, your wedding cake and you cutting the cake. Photos during After Dinner Speeches. A diverse selection of photos of the evening reception. You may provide your own album if you wish or we will choose a suitable album for you. Alternatively, we will design you an Art Book which will captivate the story of your Wedding Day from arriving at the venue of the Marriage Ceremony up until and including your First Dance/Evening Reception. All your edited photos will be provided on disk as JPEGs ? The wedding party/attendants getting ready before the wedding. The photographer will spend approximately 1 hour with the wedding party and attendants to capture those exciting and special moments as they are getting ready. (This is particularly nice, as these are special moments that generally are not shared). If both individuals are getting ready in different rooms at the same venue, then the photographer will spend approximately 30 mins with each. We will attend at your wedding venue and take preparation photos, together with photos of the Best Man/Woman/Side Person and Guests before the ceremony. Photographs of the wedding party/attendants arriving at the Church/ Marriage Venue. You getting married, your wedding ceremony subject to restrictions. Posed photos to include signing the register. Your group photos by request. We usually ask you to provide us with a list (at the pre-wedding meeting) of the photos of guests you would love to have. We will also spend time with the happy couple to capture those first special moments together as a married couple. A diverse selection of photographs of the happy couple and your guests will be taken to capture those special moments of your wedding day (as your story unfolds). We will take a selection of traditional and contemporary photos, together with reportage style photography to capture the natural beauty and essence of your special day. We will take photos of your table settings, your wedding cake and you cutting the cake. Photos during After Dinner Speeches. Evening reception - a diverse range of photographs of the happy couple and guests will be taken. You may provide your own album if you wish or we will choose a suitable album for you. Alternatively, we will design you an Art Book which will captivate the story of your Wedding Day from ‘Getting Ready, to the Ceremony and your First Dance/Evening Reception. All your photos to be provided on disk as JPEGs? This package is suitable for Church Weddings and Special Venue and/or location. Photos of the wedding party/attendants getting ready before the wedding. The photographer will spend approximately 1 hour with the wedding party/attendants to capture those exciting and special moments as they are getting ready. (This is particularly nice as these are special moments that generally are not shared. If both individuals are getting ready at the same venue prior to the wedding the photographer will spend approximately 30 mins with each. Photos of the wedding party/attendants arriving at the Church/Marriage Venue. to provide us with a list (at the pre-wedding meeting) of the photos of guests you would love to have. Additional Photos of the happy couple after you are married (once all of the group photos have been taken) A diverse range of contemporary and traditional photographs will be taken to capture the true emotion and ambience of your special wedding day. To include the welcoming party (you/ your guests) up until sitting down for your wedding breakfast. All your photos to be provided on disk as high quality JPEGs. A £150 non-refundable deposit is required to secure your booking.